Souther Creek is located just a couple miles east of the town of Stevenson, WA on hwy 14 at a spot known as Sweeney’s Corner (Curves between Stevenson and Carson). The falls have adopted that name over the years by locals. 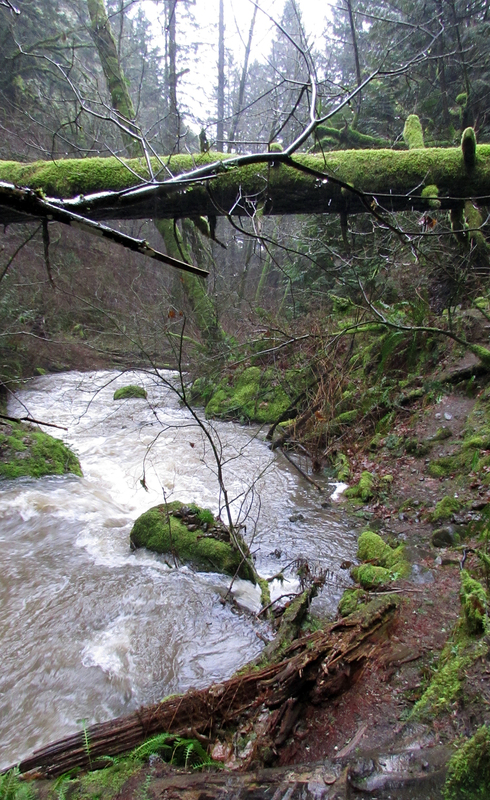 There is a small pull out at the creek and the falls can be seen upstream of the road. A short trail takes you face to face with the falls. At the base of the falls on the left side (Facing it) there is an abandoned and unsuccessful mine shaft. These picture were taken just after a heavy rainstorm in the fall/winter. 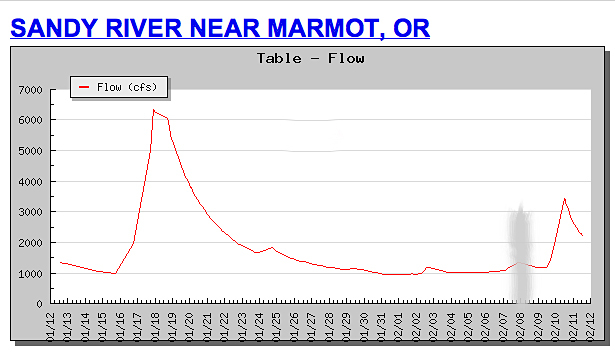 In the summer the flow drops to near a trickle. 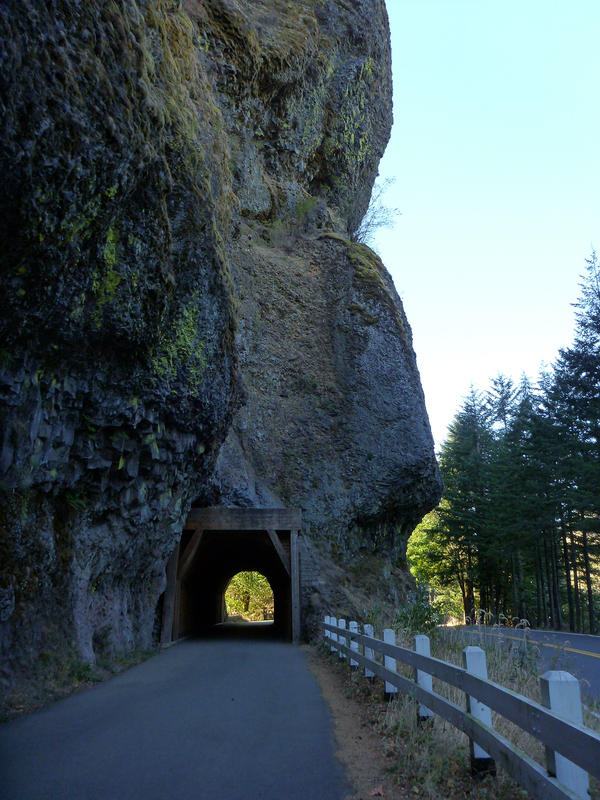 It is a nice detour stop on your way through the gorge on the Washington side. I have yet to explore further up the creek for kayaking, but I will post when I do. 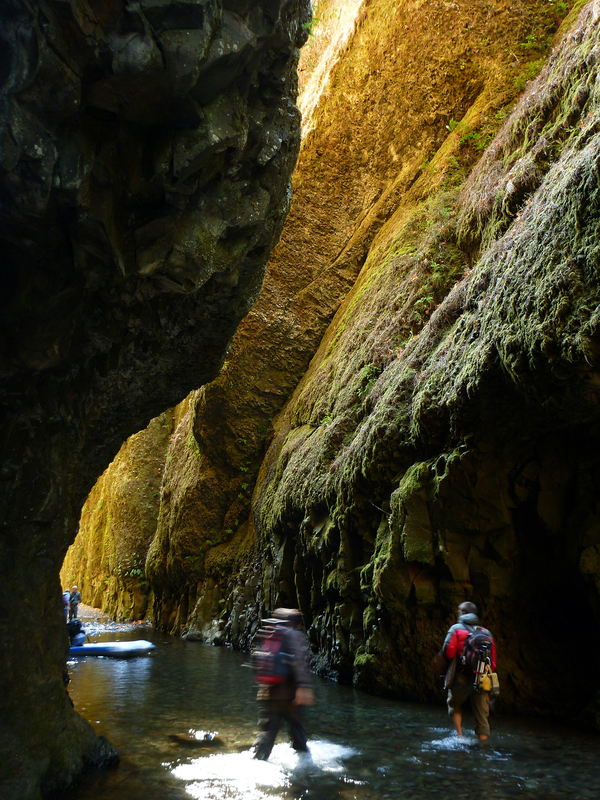 Locked away in a narrow slot canyon Oneonta Creek is a beautiful escape from the outside world. 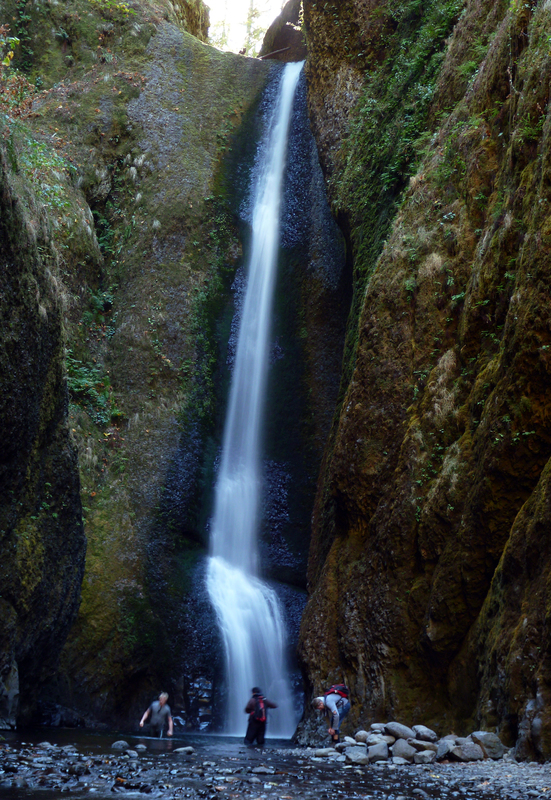 The lower falls can only be access by parking at the parking area and hiking up the creek through the canyon. Wear clothes that you can get wet and go in the summer when flows are low and temperatures are warm. You will have to wade through neck deep water just before you get to the hidden lower falls or try to scale the slippery wall beside the pool. For a breathtaking retreat from civilization this gorge is one of a kind. Best during summer months since you have to walk through the water, but you can access it anytime of the year. It does require some log hoping and walking up a slick creek bed. 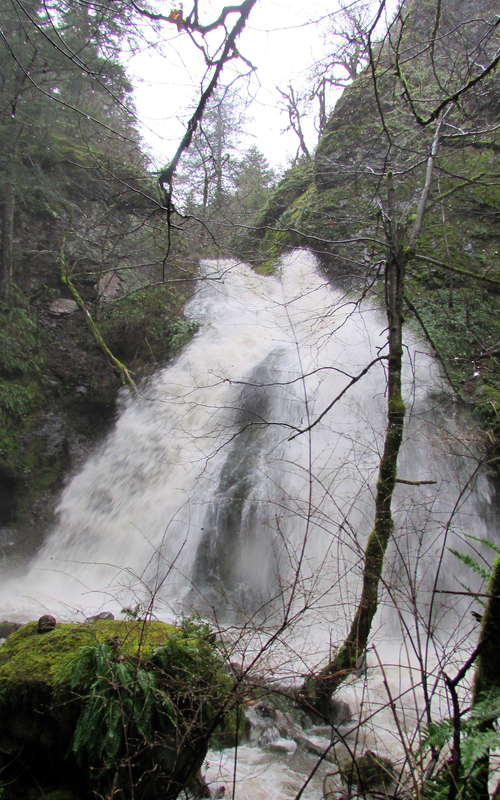 Weekends can get crowded as it is one of the more popular hikes in the Columbia Gorge. 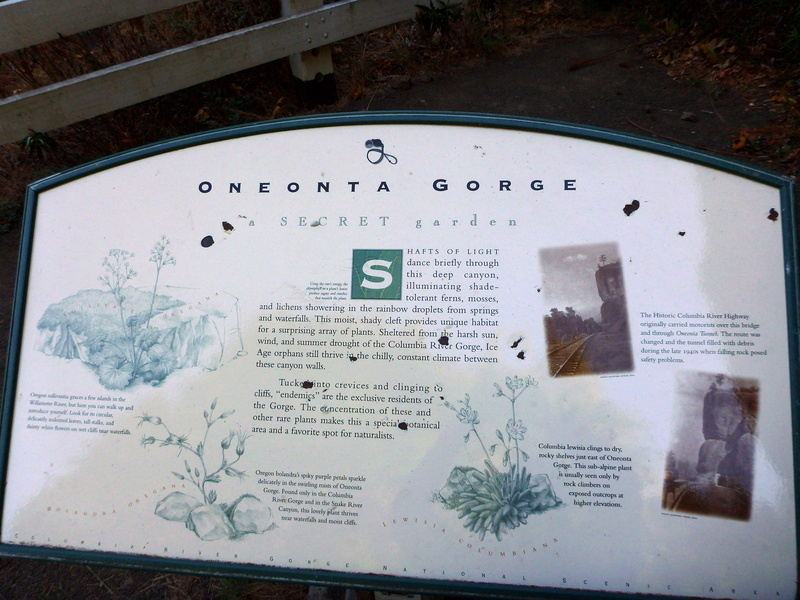 Oneonta is located east of Multnomah Falls and just west of Horsetail Falls on the historic Columbia Gorge highway.